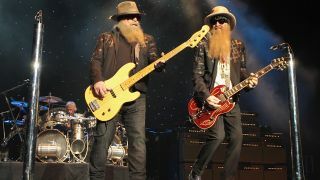 ZZ Top have announced a 34-date tour of the US which will take place later this year. The trio of Billy Gibbons, Dusty Hill and Frank Beard have lined up the shows to celebrate their 50th anniversary, with the concerts taking place after their previously announced European tour. ZZ Top will be joined by Cheap Trick and Lynyrd Skynyrd on select dates, and they’ll run through August, September and October. Gibbons says: “It’s been five decades, and I think we’re starting to get pretty good at all this! We’re truly excited to be appearing across the continent this summer and fall, playing our bluesy kind of rock like we started in ’69. Tickets will go on general sale from 10am local time on Friday (April 12). Find a full list of dates below.